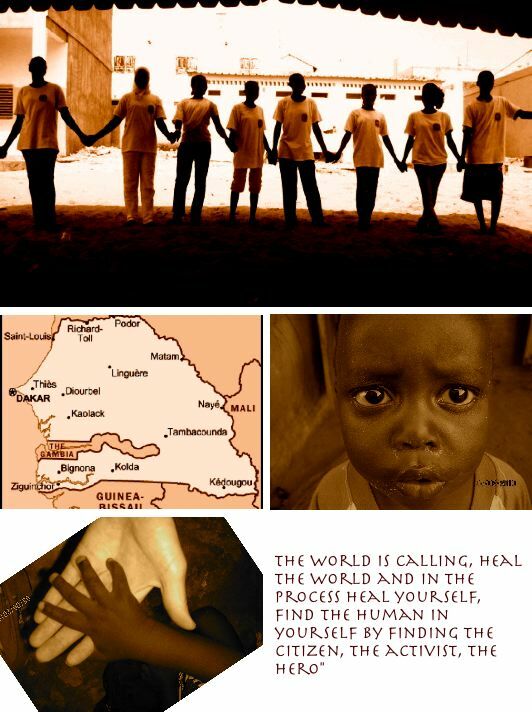 Embracing Senegal: An Island, a healer and a little more! An Island, a healer and a little more! Someone related this experience to an Island. An Island, that when you look closer, actually becomes a representation of your life. I am on a journey and discovering the beauty that makes this island radiate. Each flower, stem, and leaf has a purpose and though it seems like they have been hidden for a long time, they now seem to be blooming full force. Sometimes the thorns are not so fun to find, but they also have a place on this island and are an intricate part to its ecosystem. The last week was a break through for me. I am not sure what made it happen but I, for the first time since arriving, felt as if things are starting to fall together. Life here is starting to make sense and I don’t feel so out of place or confused as I once did. I am happy with my family and feel lucky to have the capability to connect with people on such a profound and intimate level. I dance and laugh a lot which brings a lot of joy and a simple reminder that such things are important to appreciate. I met one of the traditional healers from my village. This happened all by accident but ended up being such a beautiful exchange of information that I just have to share it. I have been spending time going around to each compound and finding out how things work. It’s been absolutely fascinating and I could write a section in itself about the food production of my village, how companies exploit it, how hard everyone works, and how poor they still are. I could also talk about the programs that are being implemented to attack such issues. They in theory, have great intentions, but tackling such complex problems are quite complicated with no real concrete answers. But I won’t go into depth because being pessimistic does not help anyone and there is already too much negativity in this world. They are however, important to note because they do play a role in my work. This post will be dedicated to the good things. They are happening and though they may seem insignificant, they do matter. Like having a conversation with the traditional healer. He is roughly in his 80’s and spends most of his time lying on a bamboo shade structure or in his hut because his body is to frail to tackle the challenges of African life he once had the strength to. He is good humored and his face is filled with lines of happiness. It is a happiness found amongst those who have experienced life, accept it, embrace it and are ready for it’s end. His grey hairs are few and decorate his balding head like tinsel on a Christmas tree. His wife sits beside him with missing teeth and black gums that remind me of licorice. Her days too, are limited but her presence is awakening. She holds my hand as she tries to convince me that I should marry her grandson. They are both happy I am there, asking them about their lives, and curious about their work. They were gracious enough to teach me about Kankiliba which is a tea used for tummy issues. They also showed me another leaf that they grind and then use to heal injuries. This knowledge was taught to him as an adolescent from his uncle. His children now collect the leaves and he prepares them and gives them to those who come seeking his treatment. I have also spent some time working in the fields, which makes me appreciate massages and chiropractors a whole lot more. Once harvest comes and school starts back up I will get to spend a lot more time in the classroom working with the kids. I have some project ideas that the school director is really excited to work with me on regarding health and nutrition. The health committee was finally changed and I have a great group of people wanting to work and educate their community. As the Pulaar’s say “seda seda” little by little! As the discovery of my own personal island unravels so do the things that make life here special.